DRAIN INSPECTION – Glenn Richardson Plumbing & Heating Ltd. Drain systems are extremely important in every building. A drain that isn’t working properly can cause expensive damage and interrupt the day to day operations facility. Drain maintenance is important not only in manufacturing facilities but also in residential high rises. In the case of a residential high rise your kitchen and bathroom drains are connected from unit to unit going up and down. With the units connected backups can affect not just one unit but other units along the line causing a fair amount of damage. 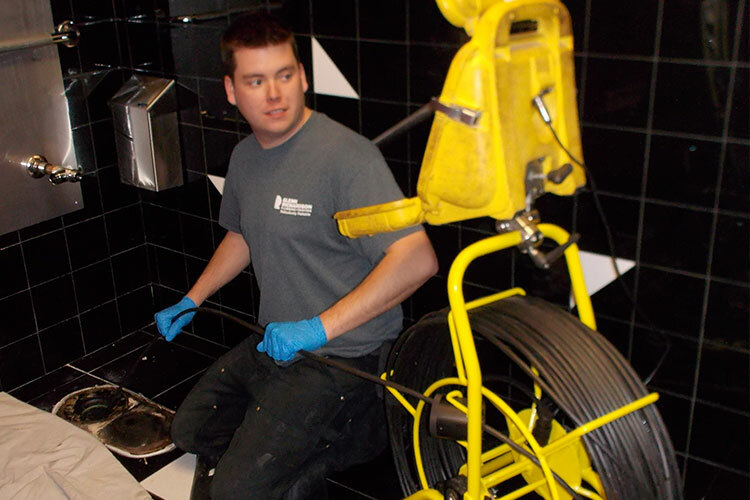 Regular drain maintenance significantly reduces service calls especially overtime service calls for backups. Reducing these calls also helps to reduce maintenance costs. For manufacturing facilities this can also help reduce costly production interruptions. Proper drain maintenance means regularly cleaning the drains. Depending on the size and age of a building this could mean a few hours or a couple semi-annually or annually. Drain cleaning requires a combination of augering and high pressure drain flushing. The augering clears partial or complete blockages while the high pressure flushing clears remaining debris and cleans the pipe. 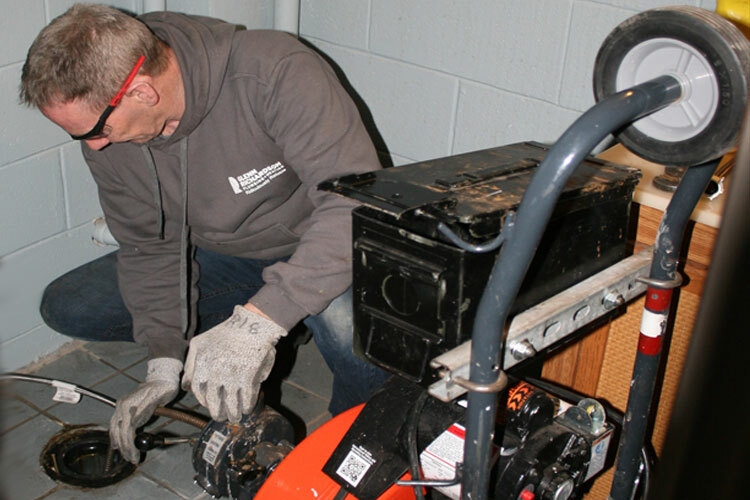 Drain maintenance will cover not only the main sewer drain running out from a property to the street but also the drains in the building. Depending on the type of facility this can range from vertical kitchen and bathroom stacks to grease traps and drainage for production areas. Using a CCTV drain camera during drain cleaning or for drain inspections makes the work much more efficient and thorough. A drain camera not only confirms there are no remaining areas of debris to be cleared but also helps to document the condition of the drains. Knowing what condition the drains are in helps identify sections of the drain that are in need of repair or that may need to be corrected to prevent issues. Drain repairs when left too long can result in costly repairs at inopportune times and damage to facilities. By replacing drain sections as they become necessary the work can be scheduled to ensure as little inconvenience as possible. This also helps keep costs down by avoiding emergency repairs and being able to budget for repair projects.